Conviction isn't really that good imo, you can find better aura's for cheap. Cruel Reality while good later in the game you have no mana rocks that I saw meaning it won't come out soon enough to get really good usage. Dreadbringer Lampads kinda like with Nyx-Fleece Ram it isn't really serving a purpose other than to be an enchantment. Fall of the Thran You dislike when people target you, don't give them a reason. Archetype of Finality imo it's too slow for how weak the creature is. Crystal Chimes already messaged you. Daxos's Torment I'm not that sure but I feel like this again is only really there for it to be a creature that's an enchantment, not to be a valued card. Death Grasp again, not too sure but unless you have more mana ramp and sources not going to do too much. 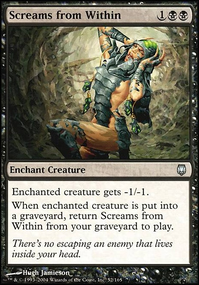 Grim Guardian Again feeling like it's only there to be both a creature and an enchantment, power isn't too strong. Mourning Not to strong, -2/-0 not going to do much in most cases imo Myth Realized Like the Daxos's Torment but slightly better imo, still feel it's only there to be both a creature and enchantment Nyx-Fleece Ram Just restating. 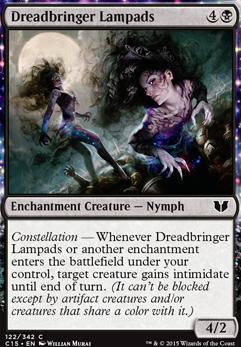 Skybind Without more strong normal creatures not benefiting you, just maybe hurting opponents a little. Teysa, Envoy of Ghosts What's the purpose of them? They do nothing for the deck. Would suggest Urborg, Tomb of Yawgmoth and Cabal Coffers for lands. I would drop Spear of Heliod, doesn't provide much use. Shielded by Faith, Flickering Ward, and Gift of Immortality doesn't do much either since you are running mass loads of tokens. Nevermore in EDH isn't that powerful. There are better things than Underworld Connections. Spot control in a deck like this wouldn't be good so things like Spectral Grasp might not do much. Leyline of the Void is really good, but doesn't boost what you can produce. Grave Peril would get triggered too fast and you can't control it. Nyx-Fleece Ram won't do much for you. There is are 1W drops that give you life everytime a creature enters the battlefield, they would be much more work. Dreadbringer Lampads's intimate on W/B isn't very good. Optimator on Fear nothing, and strike! Our decks are quite similar! Sort of. I like the direction you're taking. Very cool! 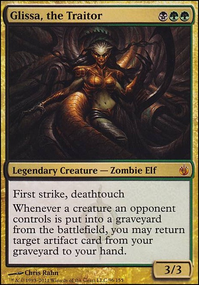 The idea of creatures-as-utility is generally quite sound in EDH and is quite flavorful for a Zurgo deck to boot. I see you're a budget builder like me so my suggestions will keep that in mind. Have you built this deck physically yet? I would add Terramorphic Expanse and Evolving Wilds. It's not quite budget but a Command Tower will help immensely. Vivid Crag, Vivid Marsh, and Vivid Meadow are decent mana-fixers for the price. Slow lands are bad lands and all, but on a budget you don't have a choice. Darksteel Ingot, Transguild Promenade, Mardu Banner, Rupture Spire, and Nomad Outpost come recommended as well. Assault Suit is an auto-include in my opinion. It's practically made for Zurgo. 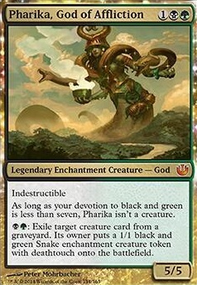 It makes it so Zurgo is indestructible when it's not your turn and potentially adds commander damage and/or counters to boot (commander damage doesn't factor in who controls the creature. It's tallied per-commander). If you can get a counter or two, or any anthem effect, it gets Zurgo into two-hit K.O. territory. Get double strike somehow and you can one-hit-K.O.! Arashin Foremost is a great include for this. Archetype of Aggression and Archetype of Courage are good. Zurgo doesn't need first strike on offense but on defense it can make him deadly. Adarkar Valkyrie is super-sick. Intrepid Hero is awesome-sauce too. Extra combat phases are always good and extra good for Zurgo. Relentless Assault is budget. Dictate of the Twin Gods is budget. 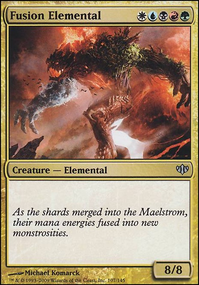 You don't have to go artifact-voltron the way I did but a Fireshrieker or Loxodon Warhammer would be good. Kusari-Gama and Grappling Hook are amazing for Zurgo as well. Swiftfoot Boots are nice and quite cheap. 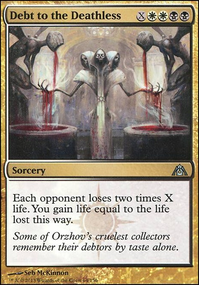 The haste is wasted but it protects against most exile effects and keeps Zurgo safe when it's not your turn. Worldslayer is a funny one. I know land destruction is bad manners but it's pretty much the end of the game if Zurgo equips it and gets through. I know he's right o the cusp of being a budget card, but Brutal Hordechief is stellar for Zurgo. Absolutely beastly. Wrath effects are especially good for Zurgo decks, as he survives and can start sweeping. I see you have several, which is good. If you can get mass indestructibility it's even better. Frontline Medic, Boros Charm (slightly non-budget, I know), Soul of New Phyrexia, etc can work. I think there are a few more. Some sort of Loxodon cleric? Maybe a mass blink effect... I think it's non-budget though. You get the idea. Assemble the Legion + Eldrazi Monument is funny. The monument isn't budget but it's not expensive either. YMMV. Sire Of Insanity is, I think, quite good for when Zurgo is finally out rampaging. Excellent choice. I'm thinking about adding one to my deck. Personally I would try to get more mana ramp in your deck since Zurgo has a gargantuan target painted on his back and starts at 5 CMC, which I consider kinda high. Helps with equip costs, too. Spring for a Sol Ring. Everyone else will have one. You should include Utter End; it has Zurgo in the picture! I would cut Spike Jester, Dreadbringer Lampads, Blood-Chin Fanatic, and Enthralling Victor. I would drop a few of the single-target damaging effects. I have definitely won games by swinging the momentum my way with them but they aren't consistent. Consistency is the name of the game--that's why tutor effects are so powerful. Speaking of which, Godo, Bandit Warlord is super-sick. He's pricey (but not Damnation or Maze of Ith pricey) but he does two great things. First, he tutors in an equipment, potentially making Zurgo unstoppable. Second, he grants a second attack phase. It may seem lame because only Samurai get untapped but if you have vigilance on some creatures (or all of them! Brave the Sands, Always Watching , Heliod, God of the Sun, Herald of Dromoka you have, etc) they can attack a second time in the second phase since they never tapped to attack. Worth splurging on, IMO. This To give all colours an equal amount of cards since i added Chained to the rocks before and also buff some of the color combinations that is currently struggeling. I added in The 3 unknown shores for additional fixing that also works better with aggro decks since they where a bit slow with the temples. The last change I made was to remove Font of Fortunes In favor for Divination since blue barely uses enchantments and to give the red blue deck an extra tool! Well, for starters, 42 is a really high land count. EDH decks generally run between 32 and 40 lands. I'd suggest going 36 to 38 when in doubt. You should basically never run Temple of the False God. Howltooth Hollow will never activate in EDH. Ever. Run a basic plains over New Benalia. Of your artifacts, the only ones I'd keep would be Orzhov Signet, Sol Ring, and Thought Vessel. Good rocks include Mind Stone, Everflowing Chalice, and Darksteel Ingot. Those are all super budget. Aurora Eidolon is terrible. Faithful Squire requires you to jump though hoops for it to be decent. Nantuko Husk is super limited. Never run defenders in EDH. You want to be more proactive. That means Souls of the Faultless is a no no. Baleful Eidolon, Celestial Archon, Dreadbringer Lampads, Ghostblade Eidolon, Crawling Filth, He Who Hungers, and Moonlit Strider are not really good enough for EDH. Daxos's Torment and Genju of the Fens require you to jump through hoops. Quarantine Field, Seance, Beckon Apparition, Dawn to Dusk, Planar Outburst, Seize the Soul, Dark Dabbling, Gravepurge, Macabre Waltz, March of the Returned, Midnight Recovery, Morbid Plunder, Belfry Spirit, Doomed Traveler, Elgaud Inquisitor, Mausoleum Guard, and Sandsteppe Outcast all deserve to be cut.